Early..who was noted for his portrayil of Dr.Benjamin Franklin on local tv shows and in stage productions in The Philadelphia,Pa. area..would portray famous men from history.who would spend some with some kids..talking about their lives,their careers and their accomplishments in history. Unlike most historical recreations (EG:”You Are There”)..Mr.Early didn’t want to simply show the kids what these people had done in their careers..he wanted the young people to see them as ordinary people..who had charm and a sweet personality that kids could look up to and enjoy. He also wanted the kids to learn via conversations and exchanging information from the two generations. The series was first seen in Philadelphia, Pa. on The ABC TV Affillate there..later the show went into syndication..beginning on Sunday evening January 21,1972. 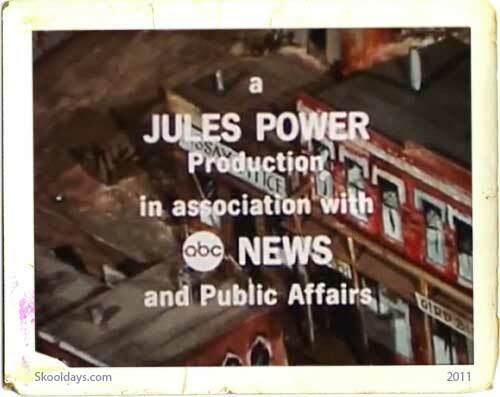 “Come Along!” was seen on Sundays on WABC TV Ch.7 in NYC on a bi monthy basis. Early played Teddy Roosevelt,Capt.Miles Standish, General Robert E.Lee,General (Later US President) Grant,Dr.Alexander Graham Bell,Leonardo Divinci,Christopher Columbus,Chief Sitting Bull,General(Later US President)George Washington and Dr.Franklin. Three of the shows’..the ones where Mr.Early played Teddy Roosevelt and later Capt.Standish.were taped on location at Sag Habor,N.Y. and at The Pilgrim’s settlement in Plymoth Rock,Ma. 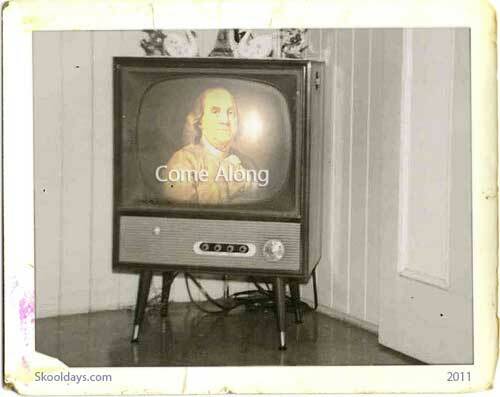 Mr.Early’s last installment of”Come Along” was taped in Philadelphia..where he played Dr.Franklin. The remainder of the shows were taped in the studio. The series lasted one season in first run episodes..they were later rerunned for a time..and then they were withdrawn from syndication. Mr.Early would portray famous men from history on another historical recreation series…this format”Meeting Of The Minds”hosted and created by Steve Allen and his wife Jane Meadows Allen was aimed at a more adult viewing audience. This entry was posted in Saturday and tagged 1970 by Skooldays. Bookmark the permalink. I was hoping to find some footage when I googled, excited to find that this! My mother was the co-owner of a children’s theater workshop in the Philly area. Kids were pulled from the workshop, first to play the plot roles with Gene London on his show, where Joe Early played “Mr. Postman” for a number of years and then for the ‘Come Along’ series. My sister appeared on the Ben Franklin episode, I was in ‘Come Along with Captain John Smith’, with Don Sileo, another ‘workshopper.’ I was in the 9th grade at the time, so this had to have been 1974. My only correction to your post – We were most definitely on location for that episode. We flew into Norfolk and spent a week shooting on location in Jamestown.